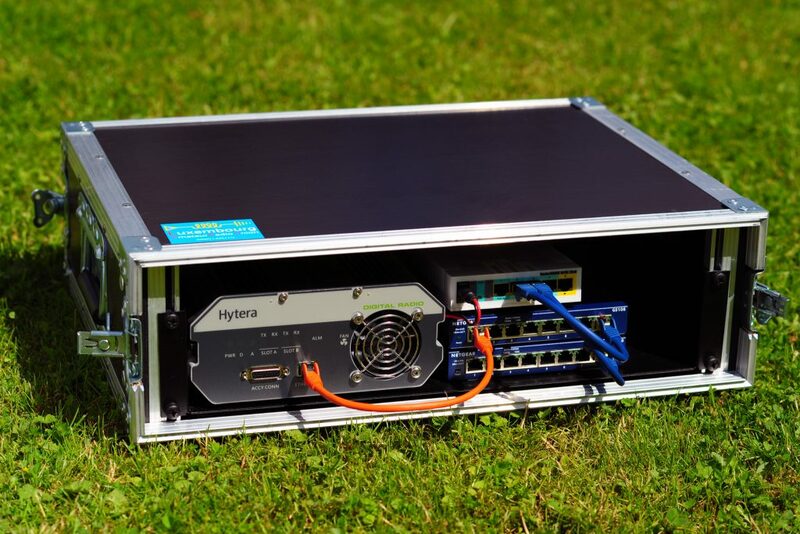 LARU’s EMC has got a professional DMR repeater. We put it together with some IT components in a protective flight-case to be in line with our other emergency equipment. The repeater can work in analog, digital or mixed-mode operation. 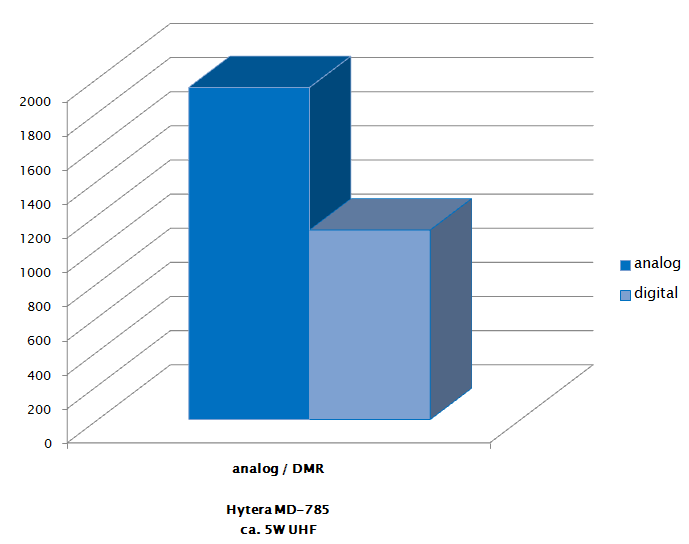 When acting as an analog voice repeater, it uses the usual frequency modulation (FM). In digital mode, the repeater works as digital mobile radio repeater (ETSI EN 300 113 part 2). DMR uses TDMA channel access scheme which allows 2 conversations over one repeater at the same time. Some special functions as GPS positioning or text messaging are also available in digital mode. The mixed mode combines both modes. In that mode, the repeater switches automatically between analog and digital conversation. Working the repeater with both modes at the same time is not possible.